Heartman was your debut novel introducing us to the world of Joseph Tremaine ‘JT’ Ellington. Can you give us a quick synopsis of the plot to introduce readers to the atmosphere and setting of the book? Bristol, 1965. Joseph Tremaine “JT” Ellington, an ex police colonial police officer with a tragic past and a broken heart, has left his native Barbados in search of a better life in the Mother Country. 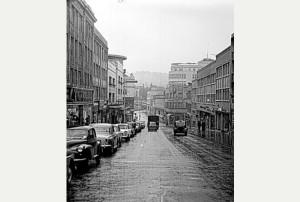 But Bristol in the Sixties is far from the Promised Land and JT faces hostility from both the weather and the people. Then local mogul Earl Linney approaches him. He needs JT’s help finding Stella Hopkins, a young deaf and mute West Indian woman who has gone missing, and who the police aren’t interested in searching for. With rent due, and no job, JT has little option than to accept. 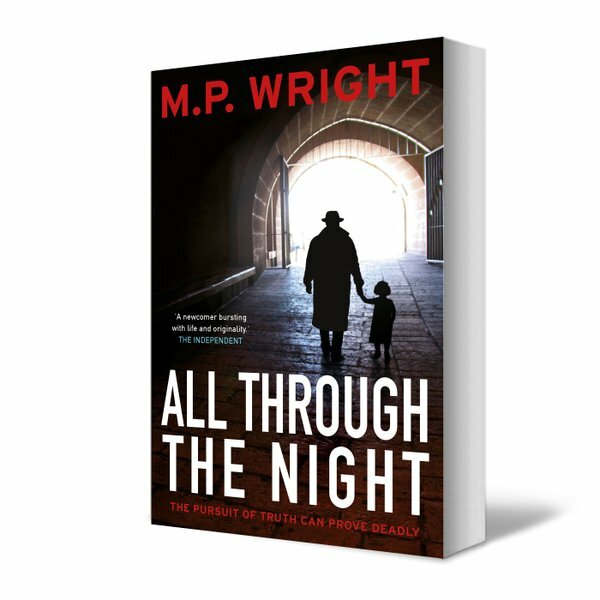 With the release of the second in the trilogy All Through The Night what is the indefatigable JT Ellington up to now, and which wrongs will he be attempting to right? It’s the summer of 1966 and Ellington has set himself up in his Cousin Vic’s gymnasium and is eeking out a shabby living as an enquiry agent, debt collecting, divorce partitions and insurance work. He hates the work but does know what he really wants to do or what the future holds for him. Nursing a nasty hang-over he is approached by a shady administrator from a local orphanage to seek out a Jamaican GP and back street abortionist called Fowler who has stolen a number of death certificates of children previously in the care of the Walter Wilkins Children’s Home. JT is asked to find Fowler, retrieve the stolen documents and ask a simple question. “Where can the Truth be found?” It’s this strange question that leads Ellington on a journey across Bristol, the backwaters of Somerset and into the heart of darkness. Its essentially a chase story which expands on both the Heartman story and Joseph Ellington’s character. Your characterisation is incredibly well-realised and the life you breathe into them- a real mix of the entertaining, the tormented, the bad to the core, or the heroic. Your main character Joseph in particular is a wonderfully multi-faceted character. From which corner of your imagination or life experience did you conjure him from and others within the piece? Ellington as a character came to me very easily. I’d mapped out a huge back story and had a moleskine notebook containing his family history, much of it created from my own imagination, some of it garnered from research into family histories on the island of Barbados. I’ve had the luck to travel to the Caribbean and many of the Southern states of the USA, especially Louisiana. I wanted to hang around JT’s persona a strong layer of credibility and a sense of the real whilst giving the readers a feel for an ‘Old Age’ detective, that harks back to the times of Raymond Chandler and Ross MacDonald. I say to my daughters that JT is the hero I could never be, but his Cousin Vic, is in some ways (I’m shamefaced to admit) very much me. His humour and no nonsense attitude certainly hark back to my own rather irascible personality. It’s always a brave authorial decision to set a book outside of the present era. What focused your attention on this era in particular and how did the idea to use Bristol (instead of the much favoured setting of 1960‘s London) present itself? Of all the questions I’ve been asked about Heartman, ‘Why Bristol?’ is the one that is sprung on me most. Originally I’d tried to set the book here in my home town of Leicester, but logistically and on scale, it simply didn’t work. Bristol is a big and beautiful city. Its also strong connected to the West Indies in a commercial and commerce sense, most certainly historically for all the wrong reasons; slavery being the foremost. Heartman is set in St Pauls which sits just outside of Bristol city centre. It was ghettoised early on by greedy, white landlords who packed in new immigrants from the West Indies who had travelled thousands of miles to the mother country seeking work and the promise of ‘Streets That Were Paved with Gold’. What they got was far from the truth. Cramped tenement homes, badly paid jobs nobody else wanted and not always the warm welcome that the British political state had promised them either. Bristol was the right place for JT to make his new home. I wanted to put him in a world that was both familiar and alien. Ellington understands how British society works to some degree, he’s witnessed firsthand the White ‘Officer Class’ of the Barbadian Police Force in which he used to serve but at the same time is knocked for six by a country that is far removed from the Caribbean life he has led. Obviously the subject matter and setting of the book required a degree of research on your behalf. How did you go about this and did you have anyone in your immediate circle whose experience of this period you could draw on directly? Firstly, lots of first hand interviews, speaking to the residents of St Pauls today, especially those who lived there in the 1960’s. Their insight was invaluable. I spent time in the pubs that both JT & Vic frequent in Heartman, talking to locals, getting a feel for a specific time and place, the patois, the food and drink. St Pauls is a very special place, I love it. My partner and her family are from Bristol, their lilting Somerset accents helped when I was writing about West Country characters. I’ve been lucky to travel across Somerset which is a beautiful county. There such a lot of scope for the future novels in respect of plot and setting that can be drawn from the region. 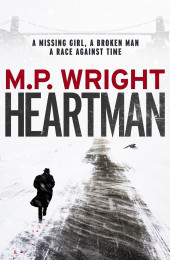 With the very visual and textured quality of your writing I was delighted to hear that Heartman has been optioned for TV. What has been your personal experience of the journey from page to screen and your involvement in bringing Ellington to a whole new medium? Heartman has been option by World Productions, makers of BBC’s Line of Duty & The Great Train Robbery and ITV’s The Bletchley Circle. It’s been adapted by the BAFTA award winning playwright and dramatist, Tony Marchant for the BBC. Everything is looking fantastic. TV takes its time to get things on the money with a production like Heartman, and rightly so. The script, now in its third draft, is spot on and everyone involved has worked so very hard on bringing the book to life. It’s just a matter of time before we hopefully have good news for the TV guys, but it’s a patience game you have to play and you simply have to sit back and put your trust in the professionals. I have every faith that World will bring a fabulous drama. The script is, if I say so myself. Stunning! It’s great to see the huge influence on and the respect you have of, James Lee Burke, and also your mention of Walter Mosley. What is it about these two writers that really strikes a chord with you, and is it relevant in any way that they are both American? Both James Lee Burke and Walter Mosley have influenced my own writing immensely. I could waffle on endlessly about the reasons, but to be concise, both writers offer up to the reader an important quality in their main characters of Robicheaux and Rawlins – and that’s integrity. Yes, both men are flawed but they are very real on the page and I wanted to emulate that in my own characters, flaws and all. Burke and Mosley’s characters are not heroic and JT Ellington is far from being a hero, but there is a heroic nature that develops in the man which is unfurled by his strong moral compass. He’s a man who is forced into a job he really doesn’t want. Desperation and necessity are what dictates his decisions as Heartman’s story develops. The relevancy of the American author angle is that I wanted to bring some of the ‘Man Alone’ feel to the current British Crime Fiction arena. Not in the ‘Maverick’ detective sense of the police procedural but as in the Hammett/Chandler/MacDonald world weary and cynical feel. I hope I’ve created that kind of vibe in my books. If you can put it into words how would you describe the journey through embarking on the first sentence of the book to the brink of publication? A long, hard slog… And I’ve been very lucky. Publishing is a glacially slow process at times. Any writer out there expecting to find success overnight is going to be in for a real shock. There are a lot of knockbacks at first and nothing good happens overnight. As a writer you have to believe in your material, hone down the prose and have great characters that readers will want to fall in love with. I was also blessed to meet my literary agent; Philip Patterson of the Marjacq Agency in London. Phil has guided me through the good and bad. 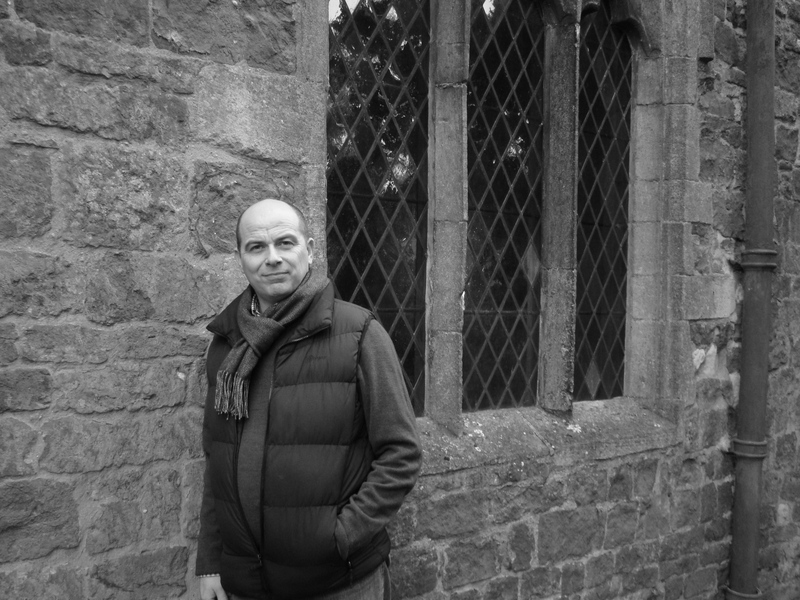 I’ve also been aided by some great writers who have been so supportive to my work; Peter James, Emyln Rees, Mari Hannah, Anne Zouroudi, Stav Sherez, Stuart Neville, Ken Bruen and Luca Veste. They all deserve a mention and a big drink! And so The Restless Coffins– the third of the trilogy beckons. Any teasers for us, and will this really be the final outing for this wonderful character? I’d created the story arc of the Ellington series as a Trilogy. 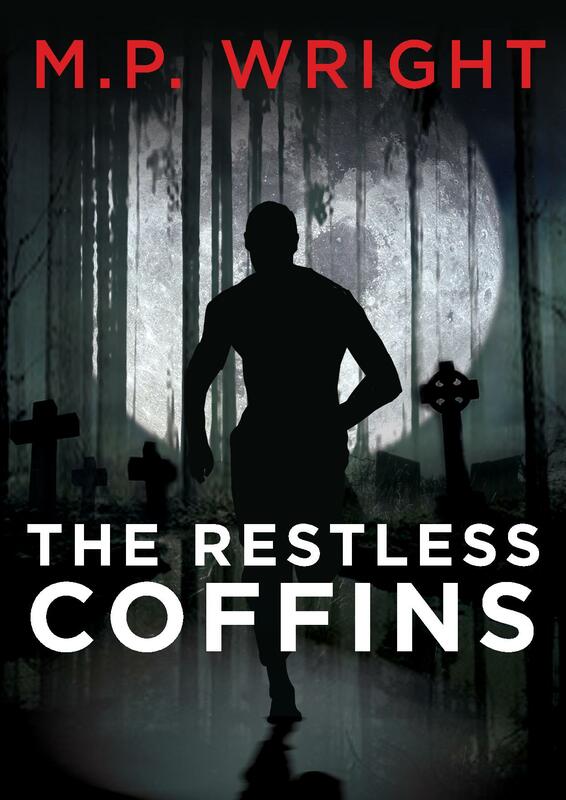 (As known as the Child Trilogy) The third book is called The Restless Coffins and sees JT return to his Barbados home to settle ‘family affairs’ and face both the organised crime lords and the array of corrupt police colleagues he’d once worked with. Since drafting that original trilogy, I am pleased to say that there will be a fourth book, The Rivers of Blood set in 1971 which I’ll start writing this autumn. I would not have return to JT’s world unless I thought the story was tight and I had something different to say with the characters. That’s certainly the case with The Rivers of Blood. I hope fans of the series will be pleased that my wily Bajan is getting a fourth outing. He’ll be a little older but still walking into the kind of unwelcome trouble he wished would leave him well along. Life as an author in three words? Big thanks to Mark for taking time out of his busy schedule to answer my questions!